Val B. Russell is founder and managing editor of Tuck Magazine - a fast evolving arts magazine with contributions spanning twenty countries. We came in contact when Tuck accepted some poems of mine for publication and I have been a regular reader since. Hi Val. It's great to have you here. Tuck Magazine is a platform for photography, art, prose and poetry. Tell us about its inception and how it grew. The concept for Tuck Magazine actually emerged from two seemingly disparate places: cynicism and optimism. At the time I was struggling to reignite the fire of a freelance career that I had let go cold for a few years. What I discovered was that the geography of publishing had changed. Freelance print work was drying up and it was clearly due to online competition. After scouring the internet, my cynicism was soon replaced by hopefulness as there was more work out there than there had ever been for writers, artists, musicians or anyone involved in the media or the arts. The internet has become a serious publication opportunity for indie writers who have been blocked by larger traditional presses, either because they are too niche oriented, not mainstream enough, or they are too inexperienced to finesse getting past the gatekeepers whose sole purpose is to thin submissions. This atmosphere led to some heavy duty collaborative bridge building between many groups of blogging writers, expanding rapidly around 2008. As a member of a small network of those writers, I was part of a new vanguard of artists. Out of this I saw a need, filled it and called it Tuck. I created it alone in the evenings after work on a laptop and as it developed I could see it would never be static, but rather an evolving entity much like the art it was sharing. When the magazine went live in October 2011, my goal was to expand the success of that previous collaborative bridge building by bringing artists together from all over the world to share their art with the world. Writers, painters, sculptors, musicians/singers, film makers, actors, dancers and photographers all in one place to create an environment that is positive and uplifting for both the artist and visitor without the taint of the money machine. This not only keeps the art pure but it is also deeply fulfilling for me as both a writer and editor. 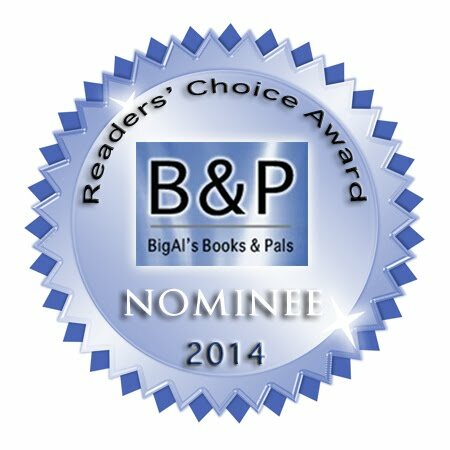 To have the ability and forum to give many gifted artists their first publishing credit is precious. When I added the Tuck twitter and facebook it attracted an immense interest from both contributors and readers. When art editor Michael Organ joined Tuck, his social media savvy gave us an incredible boost, increasing traffic and providing the contributors with a much wider audience for their work. We are new, dynamic and our influence globally can be seen in the more than twenty countries that are represented by our contributors. We are especially having an impact on emerging writers from regions that are often ignored by English speaking publications. A perfect example of Tuck having an effect beyond borders can be seen by the success of Michael Kwaku Kesse Somuah, a young poet from Ghana. Because he was published in Tuck, his career took off and he became the recipient of a prestigious arts award presented to him by the president of Ghana. Subsequent to this, he has won several more awards for his poetry in addition to his readings at conferences and poetry events in both Europe and America. When he contacted me to say that Tuck had been instrumental in that recognition, I was honoured but I also felt justified in my belief that we were indeed having an influence that went beyond things like race, religion, gender and economics. Art is an expression of spirit, that should be freely accessible to everyone and this was precisely the message I took with me to Ottawa Canada this past May. 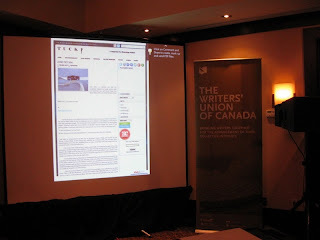 As a guest panelist at The Writers’ Union of Canada AGM I was asked to discuss book reviewing and the changing landscape for writers in 2013, but Tuck Magazine and independently published writers soon became the focus of that conference. When all was said and done, the Union made a ground breaking decision to finally admit self-published authors into the fold. 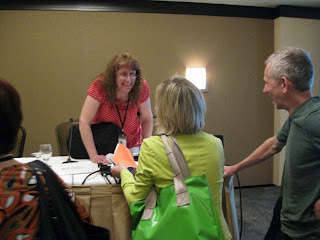 Although this certainly was significant for all indie writers in Canada and a recognition that we now constitute a serious majority in this profession, the most gratifying part of my participation in this conference was the opportunity to promote Tuck and those who make it the success it is: the contributors. While I sat on the stage, with a projection of Tucks’ main page on the wall behind me, large and making a debut of sorts, every contributor was in that room with me. It was a gratifying and proud moment for all of us who make Tuck happen. Congratulations on that success. Great news about Michael Kweku Kesse Somuah - I remember I really liked one of his poems and mentioned it in a blog post about Tuck, some time ago. You say "If you've read my poetry, you have met me." What are you drawn to write about? Are you working on something at the moment? I write from the perspective of personal truth. I have lived a very unusual and at times difficult, occasionally horrific life but within this muddy milieu I have extracted some emotional facts that are the basis of my poetry and fiction. I do often write from an emotional place and this can be very draining at times but without it my stories and poems would lack passion and soul. My writing mandate is quite basic: I write poetry when I’m in pain, essays when I’m angry or outraged, short fiction when I’m bored, book reviews and interviews when I need money for the rent or my curiosity is piqued. My reason for writing longer fiction is a little more complex. It is a catharsis with more than a dash of altruism tossed in. Currently, I've got two novels competing for my time but my focus is more often on Wilson Park, a novel based my childhood experiences in a low income housing project in Canada. This is a grim tale but one that needs to be told. I’m hoping to shop it around sometime in the New Year. The second novel is straight up literary fiction, a tragic story about the loss of a child and how women come to terms with grief. At some point I will also be reissuing ‘The Adventures of Granny Destross and CeeCee’ a children’s fantasy novel I initially self-published a few years ago. The goal is to continue on with the characters within a series of twelve books. Devoting a website solely to this project is a long held dream of mine and to take it as far as I can on my own. There are also approximately three hundred poems I am editing off and on that I've written over the course of seven years that will eventually be ready for small press publication. After that, I intend to sleep and breathe if time permits! I like that breakdown of creativity according to mood! I think we all write from an emotional place. Does your creativity spread to music or art, since you are involved with the broad artistic spectrum? My creative expression does bleed into other areas when time permits. I draw/paint and there is a Ukulele on my desk, waiting for me to pick out some tunes. It's difficult to find the time for all the modes of expression I love but when I do pick up an art pencil or paint brush, sing a song or pluck out a melody on an instrument, it feeds my writing when I feel too emotional and blocked to finish a chapter. It is as if the act of stroking paint on a canvass removes emotional debris that frees me up to continue with a story. It's like hand in glove the way each endeavor facilitates the development of the others. In fact, most of the writers I know have their fingers in more than one creative pie at a time. Your artistic side must feed Tuck as well then. It is visually slick as well as a versatile magazine and the internet has certainly given it a reach it would not have if it were only in print. Have you tailored Tuck to the medium? Do you try to present art that is part of the art zeitgeist or just what appeals to you? Everything that is published in Tuck shares a common element: originality. The art that is chosen is not always to my liking, which may be surprising but our purpose is to move beyond the borders of our own personal tastes and to give those who read Tuck a variety that is often lacking in other online magazines. There is a risk inherent in doing this as it can be seen as quirky and too unconventional. Often, people like to categorize and define art until it is nothing but packaged junk, and we are determined to maintain our integrity in this regard. The reach you mention is crucial to our growth as it is a factor that can’t diminish simply based on the truth that the internet is for all intents and purposes, the world. Additionally, the fact that Tuck is a labour of love for myself, editor Michael Organ, and the many contributors who grace our pages, guarantees our ability to succeed. We are in this for the long haul and to above all else, build a relationship between readers/viewers and those who create, by promoting talented new artists and sharing their best work. I'm always curious about how people design the look of their site. How did you come up with the Tuck logo? The logo took about a week to put together in total. The silhouette of the woman brandishing the weapon, was an intentional clip art find as I wanted any image associated with the magazine to reflect one particular definition of the word 'Tuck' which is a type of sword, as is a pen when wielded deftly and with purpose. I fiddled around with a logo maker for the text, chose a theme and colour scheme, purchased the domain and found a host. The guts of magazine took a great deal of patience and time to implement but eventually it became close to my original vision of how it should look and feel to the reader. Tell us about your activist interests. I am very much involved in issues relating to child abuse. 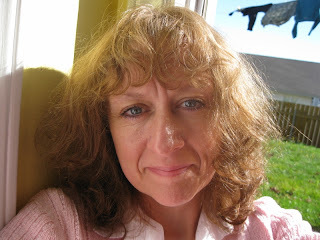 In fact, I've just finished an interview with memoirist and sexual abuse survivor Tina Renton for Herizon’s magazine. It is my ultimate goal to create a program for abused children that will involve the arts as a path to emotional and psychological healing. As a survivor myself, the pain and suffering of children who are abused and/or live in poverty is never far from my mind and it is the driving force behind my writing, to use my skill with words to fight the fear and apathy that not only allows child abuse to continue but to flourish. I think art is at it's most powerful when used to raise awareness but also it is a simple tool that can help children communicate. Good luck with the programme. What's in store for Tuck in the future? Tuck has been going through some changes this summer and we are excited to be launching a new page this fall that will incorporate expanded video and audio. We are also in the process of bringing regular contributors on board that we will weave into the fabric of Tuck gradually throughout 2014. As we are very much about displaying a borderless world, at least artistically, we have also determined that we have a responsibility and desire to become more activist and socially motivated. Obviously it is the very nature of the artist to not only filter and express the health of the society and era in which they live but it is also their role to use their art to prompt change and social progress through awareness. We have also not ruled out print and we have been known to toss around terms like ‘anthology’ and ‘best of’ but this is still early days for us to consider the print option. Tuck will continue to redefine itself over and over again as the years pass and we intend to remain part of landscape for many years to come. As long as there is art and the editors breathe, Tuck will exist. I'm excited to hear you are incorporating video and audio. Congratulations on the success of Tuck and thanks for taking the time from your busy schedule for this chat, it has been great to get insight into this dynamic magazine and the woman behind it! Awww... A word from Val always ignite my noble soul by drawing a sense of love and self belief. I am highly humbled dearest Fiona and Val, for the mention. Least expected this. I am ever grateful to Val for birthing the creativity in me and today, if I am soaring higher, it is to Tuck, Poetryspace-UK, Omilos-Greece, Enchanting Verses-India, and so on for nurturing me.